And they’re arriving in three consecutive weeks! 2018 has already been a good year for music, but it’s only going to get better in June, which will see the release of three long-awaited albums – in three consecutive weekends, no less! Nicki Minaj’s Queen is slated for a June 15 release, Bebe Rexha follows up with a June 22 release for Expectations, and Florence and Machine rounds things out with High As Hope on June 29. Queen follows “Chun-Li” and “Barbie Tingz” – two songs released last month to promote the album. It succeeds 2014’s The Pinkprint as Nicki’s fourth studio album. Since The Pinkprint, Nicki has released the ever-deliciously shady “No Frauds” and has appeared on more than a handful of collaborations, including Migos’ “Motorsport”, Yo Gotti’s “Rake It Up”, and Katy Perry’s “Swish Swish” just to name a few. Nicki remains tight-lipped regarding any more details about the album, but she did appear on the season finale of Saturday Night Live alongside Tina Fey to perform “Chun-Li” and promote the album. 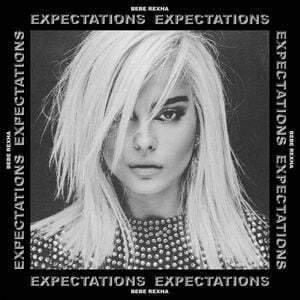 Album cover for Expectations. Photo courtesy of Genius. As is the case with Nicki Minaj, it has been a couple years since Florence and the Machine’s last album – 2015’s How Big, How Blue, How Beautiful. 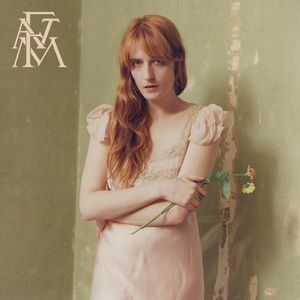 “Hunger” and “Sky Full of Song” were released to promote the album, and both feature Florence Welch’s voice soaring over beautifully melodic rhythms. If these two tracks represent the entire album, then we have no doubt this album will be just as phenomenal as Florence’s three prior albums. Album cover for High As Hope. Photo courtesy of Genius. All three of these albums will be available for purchase on iTunes, and for streaming on Spotify and Apple Music. Are you excited for these three new albums? Comment below and tweet us @Fuzzable with your love for all things Nicki Minaj, Bebe Rexha, and Florence and the Machine! Update: Since this article was published, it has been confirmed that Nicki Minaj has moved the release of Queen to August 10, 2018.